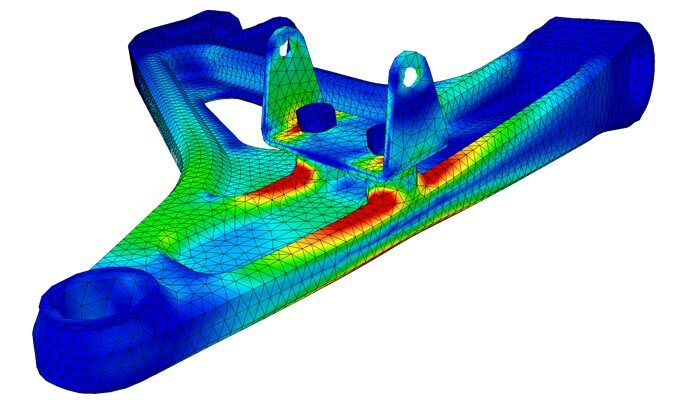 Topology optimisation is a technique consisting of improving the weight distribution of a part by removing material where it isn’t necessary. The objective is to identify the areas that will bear specific loads and constraints and to remove others. You then get a part that is optimised, lighter and more economic in terms of the materials used. Why is this technique of particular interest for additive manufacturing? Which business sectors are showing the greatest interest in it? 3D printing is a production method that enables only the material required for the design of the part to be used, producing much less waste compared to traditional processes, an advantage that is accentuated by topology optimisation. This digital method begins by creating a 3D model to which loads are added to see how the part would react. The 3D design software then shows the user which parts are not required and those that are vital. Previously this step was carried out by conducting a series of tests by trial and error, a somewhat time-consuming process. Using software, it is now possible to slice up the part in order to remove the parts not subjected to stress; you then get a smooth part ready to be 3D printed. While this technique enables a part’s non-functional elements to be removed, it is also fairly obvious that it becomes lighter. This is the key benefit of topology optimisation, which can have a significant impact on the cost of the part in terms of production time. The method also offers improved elastic-mechanical resistance and thermal conductivity. 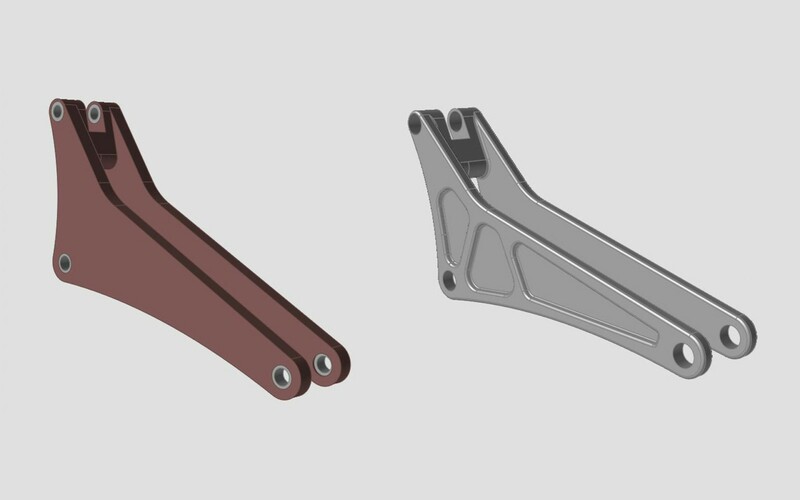 You can make parts that are more rigid at the same time as reducing weight. It is therefore no surprise that many business sectors are interested in this technique. Firstly, there are the aviation and space industries who are able to lower their direct costs using topology optimisation: a lighter part in their planes or rockets means lower fuel consumption, offering significant savings over the longer term. The manufacturer Boeing has stated that reducing the weight of the wing by 5% would provide annual kerosene savings of 200 tonnes. 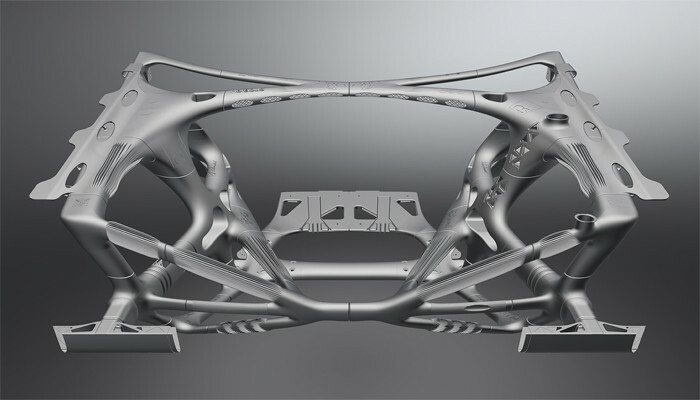 The automotive sector also uses topology optimisation to save materials during vehicle production. As cars are generally produced in millions of units, it is important to understand that reducing vehicle weight by just a few grammes represents significantly lower direct costs. 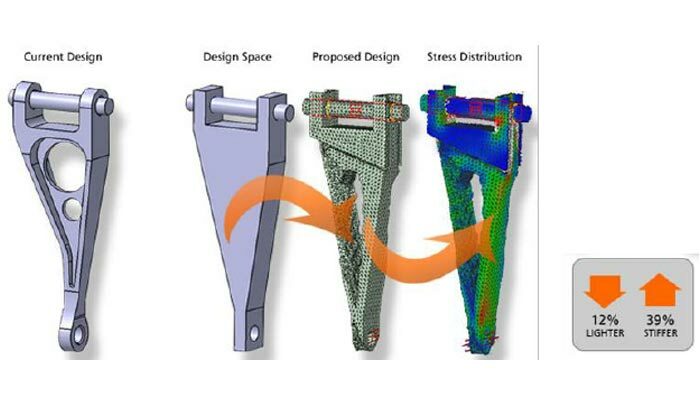 Do you need any advice on applying topology optimisation to your additive manufacturing process? Please don’t hesitate to contact our team to help you select software compatible with your requirements!